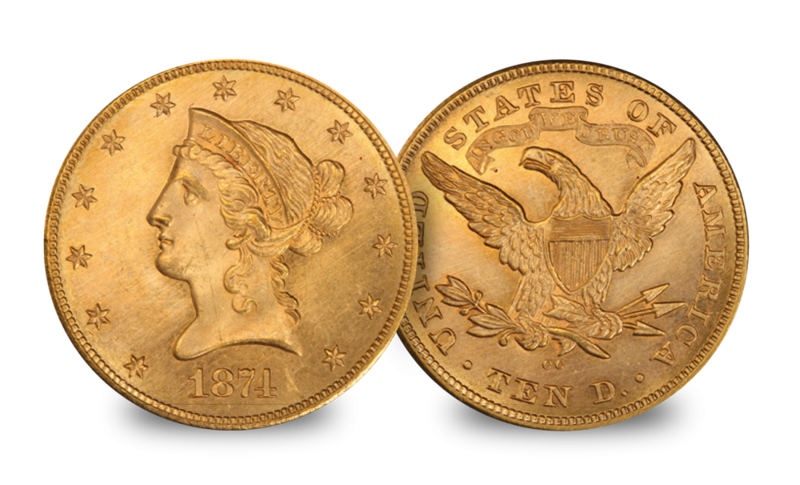 This set combines the Gaudens Eagle & The Liberty Eagle. The Liberty Head, designed by James B. Longacre was produced from 1849-1907. The obverse features Lady Liberty (Liberty Head) surrounded by 13 stars which represent the 13 colonies. A purposely basic design in order to emphasise the true size of the large gold coin. The reverse features an eagle modelled on the bird on the Great Seal of the United States – known as the Heraldic Eagle. The Augustus Saint-Gaudens Liberty Eagle broke with tradition by replacing the usual portrait of Liberty with a female figure (reputed to have been his mistress) wearing a native-American headdress. 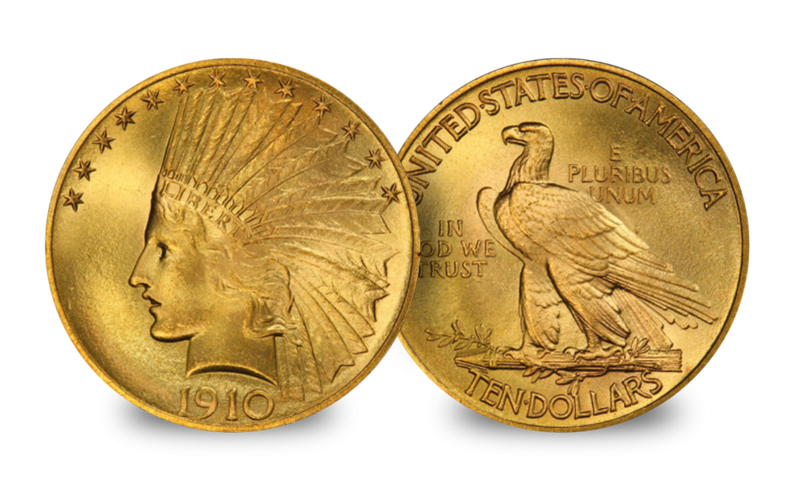 The Saint-Gaudens $10 dollar design was originally intended for the $20 dollar double eagle - however, president Roosevelt chose this design for the $10 instead.The coin was produced from the first year that the Liberty Head design ceased – 1907 and production ended in 1933.